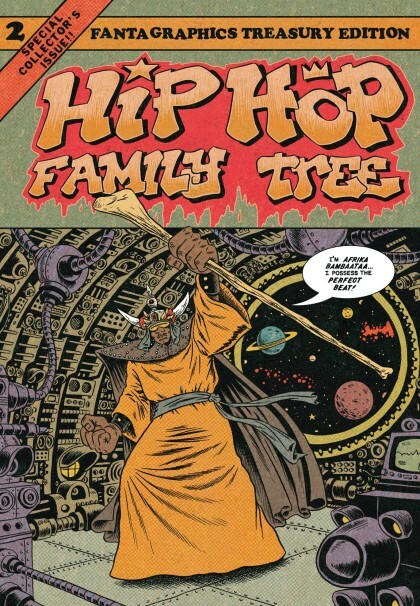 JUSTIN’S PICK :: HIP HOP FAMILY TREE VOL 02: Ed Piskor and Fantagraphics drop the second volume of this exhaustively researched and obsessively detailed history of America’s most misunderstood (and misappropriated) indigenous art form. Like comic books, baseball, and its predecessor jazz, hip-hop is a mode of expression that is undeniably ours, and for better or worse, it has infiltrated the global consciousness. Piskor has revealed himself as an authority on the subject, and I can’t think of anyone I’d rather see setting pen-to-paper in this pursuit. The treasury format gives the art plenty of room to breathe, while lending an essential old school nostalgia. If you missed out on the opening chapter of this modern masterpiece, worry not…Fantagraphics also offers a new printing of volume one to satisfy your souls. Read up, son!